In this move towards energy efficiency, the UK has emerged as a global leader. The UK government has mandated that by 2020 energy companies roll out 53 million smart meters to all business and residential customers. The rollout is being led by energy suppliers, who are responsible for installing smart metering equipment. This move has also sparked considerable competition for energy retailers seeking to capitalise on the opportunity. There are now more than 70 energy retailers operating in the UK market — a four-fold increase on the past decade. In turn, opportunities for providers of value-added technologies have sprung up. This $7.5 million capped tech junior, which only made its ASX debut in February this year, provides energy management and mobility solutions to customers in Australia and the UK. Its mission: to leverage smart IoT solutions to turn data into insights, helping to shape a sustainable world. This tightly held company has a considerable edge. It's the fastest growing energy SaaS company on the ASX, targeting the energy management systems market, which is projected to be worth almost US$80 billion by 2021, with an initial focus on Australia and the UK. That said, this ASX small-cap already has an international presence, with offices in Australia, New Zealand, the UK and an R&D hub in Vietnam. The company has developed an IoT-enabled control and visualisation tool, allows consumers and businesses to visualise and control their energy consumption and therefore identify opportunities to save potentially millions of dollars on energy bills. They can do this via remote access to the platform via any device through the cloud. This integrated platform is a scalable, flexible and user-friendly solution that can be deployed in a wide range of business settings. It has been developed over the past two years and is sold as a SaaS (software as a service) solution in Australia and the UK. 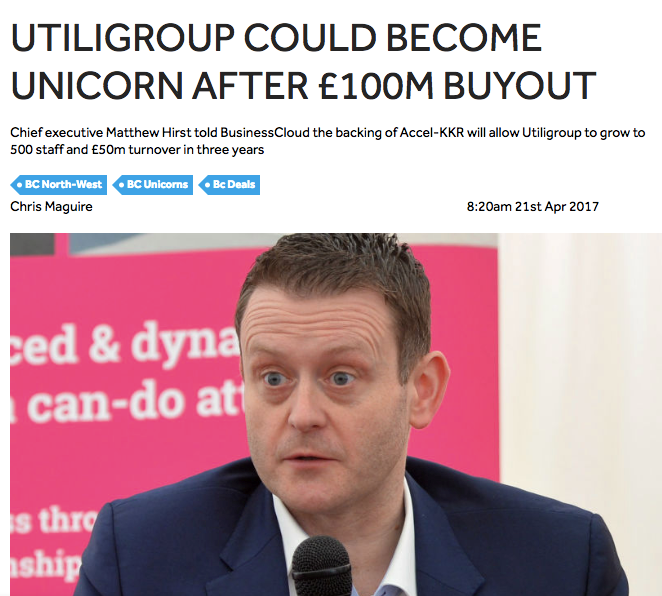 The company mainly operates in the small to medium enterprise (SME) SaaS market, and targets the distribution of its platform through its heavyweight channel partners such as Synnex, Utiligroup or Powercor UK. While still early days, the company smashed a major milestone earlier this year, surpassing $1 million in sales for its IoT platform within months of launching to these large-scale channel partners. And that’s only really the beginning. With a market cap of less than $10 million – 90% smaller than some if its nearest competitors – this small cap appears to be overlooked by the market. It crystallised this status in the September quarter, when the number of customer sites on its IoT platform rose 45% over the three-month period, taking total user growth since the beginning of the year to over 150%. No other company in this space is growing at this rate. The UK is working towards having a smart meter in every home by 2020 and with 13 million smart meters installed so far, 75% of the target is still awaiting completion. 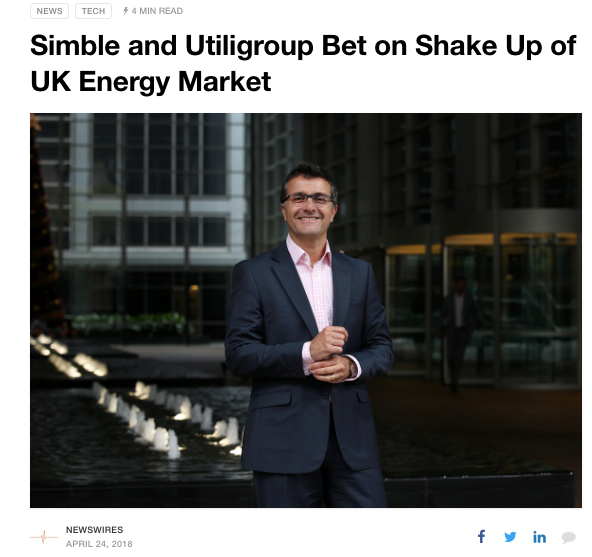 That translates to significant opportunity at play for today’s company which has just signed a significant go-to-market deal with Utiligroup, which was recently purchased for £100 million by one of the largest private equity firms in the world — a sign that this company knows what it’s doing in the energy space. This agile small-cap is steadily gaining traction in the UK and in Australia. And with a chock-full pipeline and ample near-term value drivers, including accelerating energy sales and material cash flow uplift, there’s plenty of growth on offer. As the most rapidly expanding energy SaaS company on the ASX, Sydney-based Simble Solutions (ASX:SIS) is the kind of disruptive tech growth story that’s relished by small-cap investors. This tiny ASX stock has all of the essential ingredients for a tech play primed for rapid acceleration — a string of strategic partners for maximum market penetration; a focused management team with a proven track-record of creating value and delivering key operational targets; a clear pathway for positive cashflow; and ample upside potential. 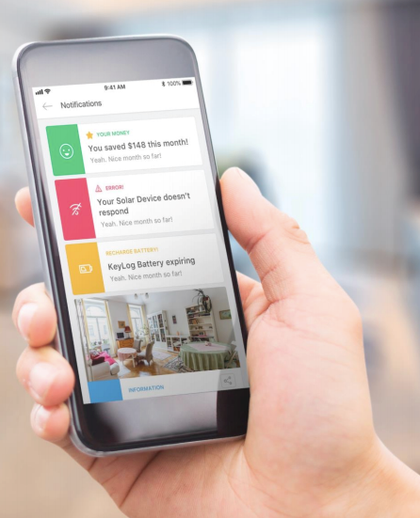 SIS has three key products: the Simble Energy Platform, a Mobility suite that helps automate business processes and enable employees to work remotely, and most recently, its Virtual Analytics App, which it just launched into the UK residential market. It’s worth noting just how far SIS has come in a relatively short period of time, especially given that it’s only been listed on the ASX since February. SIS has invested some $1.7 million in R&D this year, primarily aimed at driving product innovation, complemented by the newly launched Virtual Analytics module. 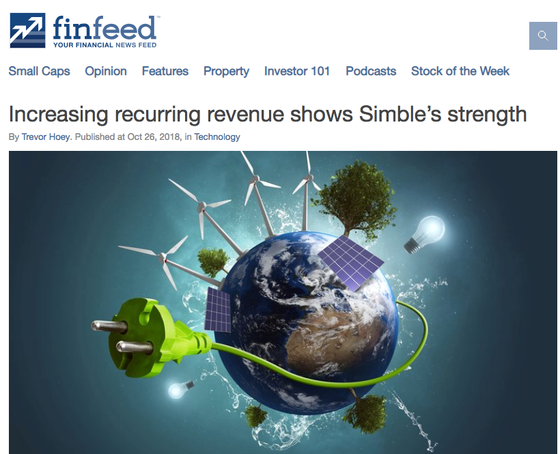 As an early-stage technology company, Simble remains reliant on external capital to fund its operations but has demonstrated earlier this year that it is capable of getting value from capital-procurement activities. The company successfully completed a highly coveted raising back in August at $0.15 per share – a price in line with recent trading, heavily supported by new and existing institutional and sophisticated investors. The company’s September quarterly shows that it has doubled its cash receipts quarter on quarter — the best performance since the its ASX debut in February. SIS is providing a foundation for ongoing growth, having increased customer sites on the Simble Energy Platform by 150% since the beginning of the year. Installations in the UK also increased four-fold during the September quarter. As momentum ramps up, SIS also recently surpassed $1 million in orders for its SimbleSense platform. Its primary distributor in Australia, Synnex, placed its second material order for the SimbleSense bundle to cover projected sales by SIS’s partners. Providing a clear pathway for commercialisation of SIS’s technology is a network of heavyweight channel partners, all of which it signed up this year. 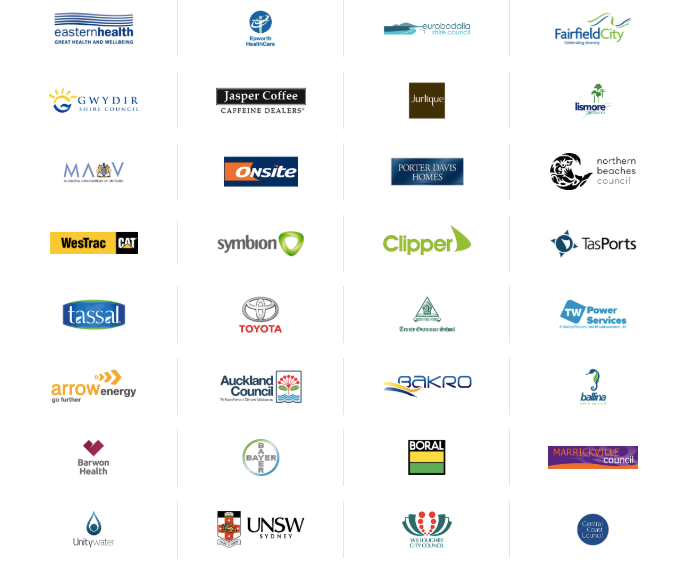 The company’s growing number of large-scale partners clearly highlights growing demand for energy management software. To spearhead its UK launch, meanwhile, SIS is targeting the growing smart lighting market and has secured a tech bundling arrangement alongside a major lighting manufacturer. Marketing and distribution supporting this deal is being undertaken as part of its channel partnership with Powercor — a leading UK energy service provider. The Simble Energy Platform will be the only analytics and control software provided to Powercor customers. Each installation completed under this partnership will deliver SIS recurring SaaS revenue, prepaid under annual or multi-year contracts. SIS’s primary distribution partner is Synnex — a relationship that’s been game-changing. Synnex is distributing SIS’s platform to its network of 6000 resellers across Australia and managing all purchase orders from SIS’s channel partner network. SimbleSense is the only IoT-enabled energy management platform to be distributed via Synnex’s reseller network. On top of these important relationships, SIS has also a variety of partnerships with high-profile names like Samsung, BlinkMobile Interactive, Vodafone, Ndevr Environmental, Amazon Web Services, Develco Products, Zipato, and Pangolin Associates. The market for energy management software systems was estimated to be worth US$32.4 billion in 2016 and as governments look for ways to promote energy efficiency and to reduce carbon emissions, that market is projected to grow by 18.8% to reach nearly US$76.8 billion by 2021. Central to the way SIS is targeting this market, in turn, is its Simble Energy Platform — an integrated hardware and real-time software solution designed to give enterprises and consumers alike the ability to remotely automate energy savings opportunities. This is an IoT-based technology that provides real-time energy visualisation and analytics. It combines a SaaS platform with smart meters and sensors that can monitor, control and monetise power use in real-time. The platform captures energy data streams from smart meters and transforms them into powerful analytics through the cloud. It enables users to visualise and understand energy consumption patterns, as well as to identify inefficiencies. This provides something critical — it enables users to make sense of data, generate meaningful insights, and take control of their energy consumption and automate savings opportunities remotely. A channel partners engages the SME in question. IOT sensors are installed at SME by the channel partner — the platform is agnostic and can be connected to any device. Access to the platform is remotely activated. The software’s ‘Measure and Verify’ features analyse the SME’s baseline energy consumption. The ‘2-way Smart Control’ features are then used to action savings. Comprising a bundled software and hardware solution, with a weighted average subscription term of three years, the platform is typically sold as a value-added service, bundled into other offerings. As subscriptions are prepaid in advance, recent growth in orders is poised to have a material impact on SIS’s cash flow. SIS is launching into the UK residential market after revealing a disruptive new software product targeted at energy retailers — the Virtual Analytics App. 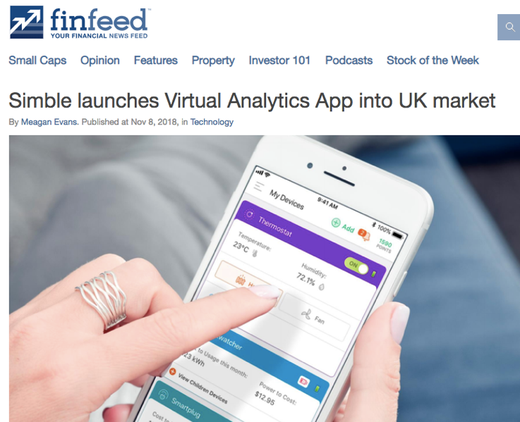 The Virtual Analytics App is built on the existing technology infrastructure of the Simble Energy Platform, and represents a disruptive enhancement and potential gateway for mass market penetration into the UK residential space. Scalable and low-cost, the app delivers remote analytics without the need for onsite hardware installations. 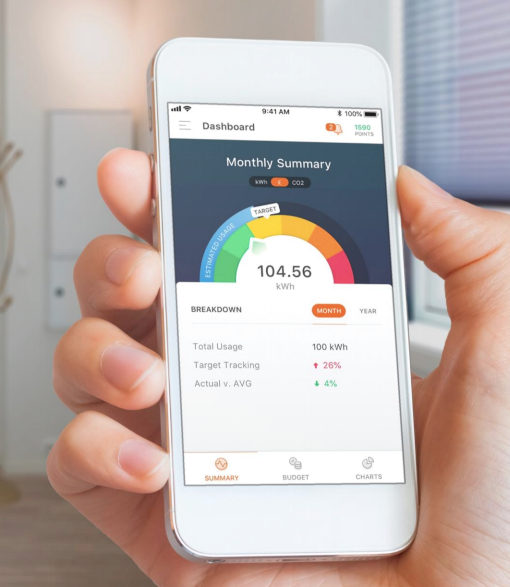 Designed for energy retailers to offer white-labelled to their residential customers, it offers a market-leading energy dashboard connected to the smart grid. Notable features include personalised recommendations, a rewards system, advanced segmentation modelling, individualised budgeting tools and news feeds, IoT-enabled 2-way smart-control and machine learning insights. Virtual Analytics is expected to generate recurring subscription and SaaS revenues linked to the number of end-users using the app. The company is in advanced discussions with retailers to take its solution to market. Meanwhile, its go-to market strategy is a collaboration with UK-based energy service provider, Utiligroup Limited. SIS’s go-to market strategy with this new app is supported by its tech collaboration with energy service provider, Utiligroup. Utiligroup handles data for over seven million underlying end-customers and services over 100 utilities and metering companies. Accel-KKR, a tech-focused investment firm with over $5 billion in capital commitments, acquired Utiligroup through its services company Energy Services Group (ESG) for £100 million in 2017. As we’ve mentioned, the Utiligroup / SIS collaboration has been designed to support the next generation of energy management solutions made possible by the UK government’s smart meter rollout. SIS’s official entry into the UK utilities industry therefore comes at a time of intensified competition within the space and rising demand for value-added technologies — like the Virtual Analytics App, for instance. By 2020, 53 million smart electricity and gas meters will have been deployed to all homes and small businesses. With 75% of the government’s rollout still awaiting completion by the 2020 target, many further opportunities arising from this program could be in SIS’s wheelhouse. The rollout is being led by energy suppliers, who are responsible for installing smart metering equipment — SIS’s target demographic with its new product. The Virtual Analytics App, in turn, would allow utilities to differentiate themselves from their competitors by offering smart analytics solutions to their customers, in turn using the data to identify and drive new revenue opportunities. SIS’s tech also provides utilities with the ability to analyse customer attributes and behaviours and define customer groups by predictive criteria — such as willingness to pay for specialised services or susceptibility to switching, for example. Smart meters and the smart grid form the foundation of the Virtual Analytics App, supplying the volumes of data from households and business. The data infrastructure is managed by the Data Communications Company (DCC). That data is captured and analysed by SIS’s powerful machine learning technology infrastructure, and the information is analysed on multiple devices, from local diagnostic tools to highly complex planning instruments. 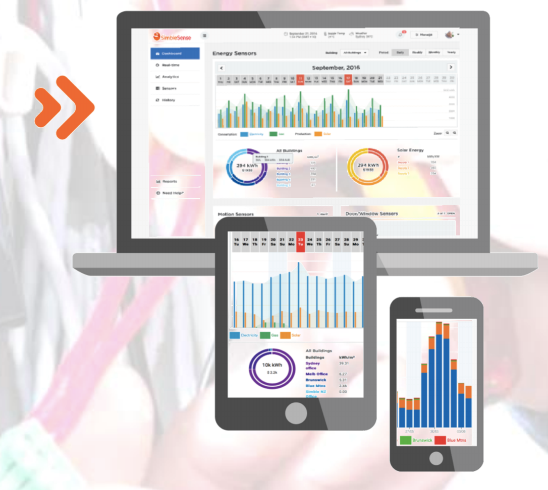 Personalised insights are then delivered to the end-user as a seamless, responsive mobile application, allowing energy service providers to engage, educate and empower their customers. This new product looks to have substantial benefits all round. By digitising the customer experience, utilities can improve customer satisfaction, lower costs and increase revenues over the long-term. End-customers, in turn, will benefit from the energy understanding, control and innovation this unique value proposition creates. SIS is capped at just $7.8 million despite its impressive organic customer growth. Yet its tech development and commercialisation sits on par with that of its peers, Buddy Platform (ASX:BUD) and Bid Energy (ASX:BID), which are capped at approximately $115million and $94 million respectively. Cash flow appears to be the major concern of the market just as with many other early-stage tech companies. Bearing in mind the traction SIS has gained in the UK and Australia, coupled with its innovative tech arsenal and pivotal partnerships — not to mention its recent, perfectly timed launch into the UK residential market — this ASX small-cap could be significantly under-valued when taking into account these peers. SIS has only been listed on the ASX for nine months, but it’s already gaining the reputation as a market disruptor. And here at the Next Tech Stock, we can’t wait to see what this energy innovator does next.